Passed away on April 2, 2017 at age 88. Beloved husband of Caralyn Court. Dear father of Catherine Shinners, Kevin Shinners, and Theresa Gray. Further survived by 7 grandchildren, 2 great-grandchildren, many other relatives and friends. Dr. Shinners was awarded a Bachelor of Philosophy degree from Marquette University in 1952. While a university student, he spent the summers of 1949 and 1950 working in plant control and fighting fires in the white pine forests of Idaho for the US Forest Service. He then served in the US Air Force as a trainer in airborne-early-warning radar-maintenance from 1952 to 1956. Thereafter, he was awarded a Master of Science degree in physics in 1958 and a Doctor of Philosophy degree in 1965 from Louisiana State University in Baton Rouge. 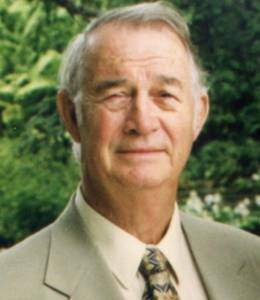 Dr. Shinners also taught physics at the Louisiana State University in New Orleans from 1961 to 1965 and at the University of Wisconsin-Whitewater from 1965 to 1992 with a two-year (1989-1991) temporary release to the Indiana ITM/MUCIA cooperative program in Malaysia. Family and friends will gather at the Funeral Home on Sunday, May 7, 2017 from 12:00 Noon until 2:00 PM. In lieu of flowers, memorials to Doctors Without Borders, PO Box 5030, Hagerstown, MD 21741.